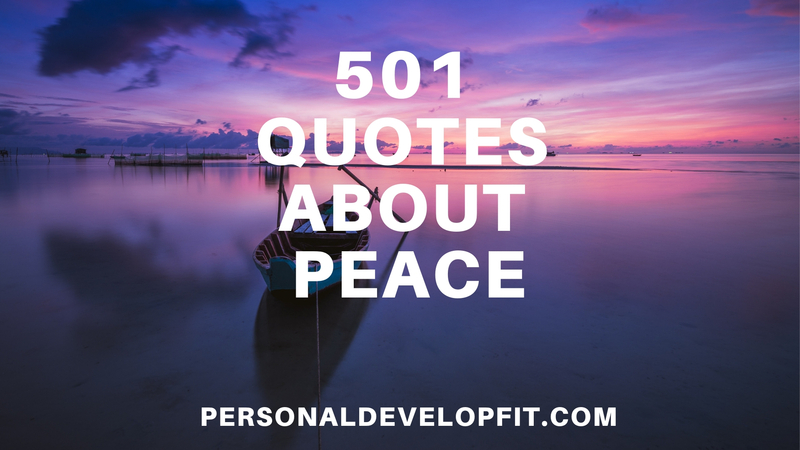 “The day I knew peace was the day I let everything go.” – C. JoyBell C.
“Go in the direction of where your peace is coming from.” – C. JoyBell C.
“Peace is not merely a distant goal that we seek, but a means by which we arrive at that goal.” – Martin Luther King Jr.
“Peace is not a result inside us from everything around us. Peace is not submissive nor passive. 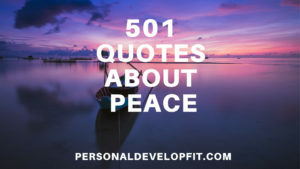 On the contrary, peace is an overwhelming force which comes from within us, disrespectful of everything around us, a firm coalition of spirit and soul standing against all unrest that abounds.” – C. JoyBell C.
“We will never have peace in the world until men everywhere recognize that ends are not cut off from means, because the means represent the ideal in the making, and the end in process, and ultimately you can’t reach good ends through evil means, because the means represent the seed and the end represents the tree.” – Martin Luther King Jr.
“We are not the same, and that’s beautiful. And that’s okay. In the quest for unity and peace, we cannot blind ourselves and expect to be all the same.” – C. JoyBell C.
“The hope of a secure and liable world lies with disciplined nonconformists who dedicated to justice peace and brotherhood.” – Martin Luther King Jr.
“Our bodies have five senses, touch, smell, taste, sight, hearing. But not to be overlooked are the senses of our soul. Intuition, peace, foresight, trust, empathy.” C. JoyBell. C.